A collection of high-minded inquiries into topics that have long fascinated and, in some cases, stumped major mathematicians, the book approaches math with logic and skepticism. 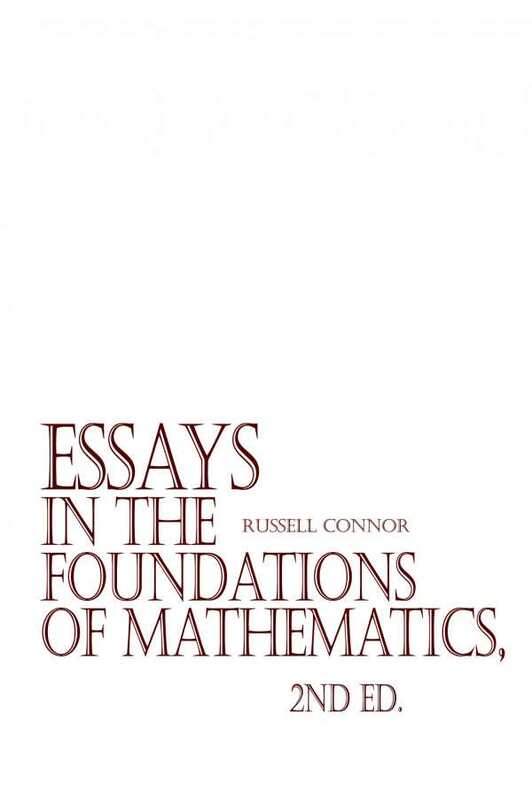 Russell Connor’s Essays in the Foundations of Mathematics, Second Edition probes dense math questions in a scholarly and serious-minded way. First published in 2002, this updated collection of essays concerns numerical relationships and complex theories, matters like Cantor’s paradox, transcendental numbers, and the square modulus theorem. Some essays examine fundamental principles long taught in schools, such as by presenting proofs of parallel lines and the irrationality of pi. The book contests orthodox notions like Euler’s formula and British mathematician Andrew Wiles’s widely accepted and 2016 Abel Prize–winning proof of Fermat’s last theorem, which had famously gone unsolved for 358 years. Essays challenge conventional wisdom and stake out contrarian positions—arguing, for example, that imaginary numbers are invalid and that proofs that rely on them are false proofs. The book laments how peers “cling … to their false mathematics” and how there is “no excuse for this intellectual dishonesty” while going on to thoroughly demonstrate the grounds for its objections. Meant for an academic audience of mathematicians, the scholarly work heavily relies on equations to illustrate its points, showing its work in painstaking detail. The non-numerical prose is clear and easy to follow. The book provides ample and wide-ranging historical context, summarizing past proofs on subjects and opining on whether they hold up. Even when reaching the same ultimate conclusion as mathematicians who came before, the book picks apart proofs in exacting detail. It wields a scalpel of criticism in a surgical way, showing a deep knowledge of the history of mathematical thought. All of the essays are brief, usually no more than a few pages, with some no more than a few paragraphs long. They are an appropriate length—only as long as they need to be, grounded as they are in analyzing mathematical ideas. Despite their brevity, they are often dense with math and will take lay readers some time to process and unpack. The book makes an effort to be accessible with its examples, such as in calling to mind flashlight beams at summer camp while discussing the speed of light. A collection of high-minded inquiries into topics that have long fascinated and, in some cases, stumped major mathematicians, the book approaches subjects with logic and skepticism. Essays in the Foundations of Mathematics, Second Edition tackles both bedrock and lofty mathematical questions with intellectual rigor.